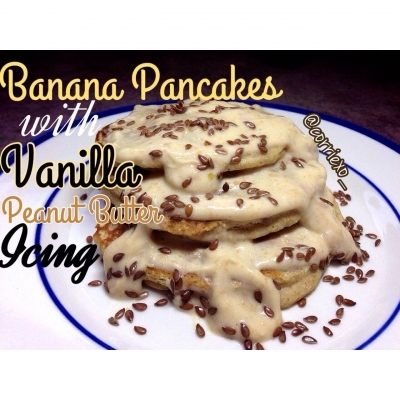 A delicious banana pancake, with a tasteful icing on top! Process all ingredients together, except icing. Heat frying pan up and let cook thoroughly on each side. Add icing, serve immediately and enjoy!